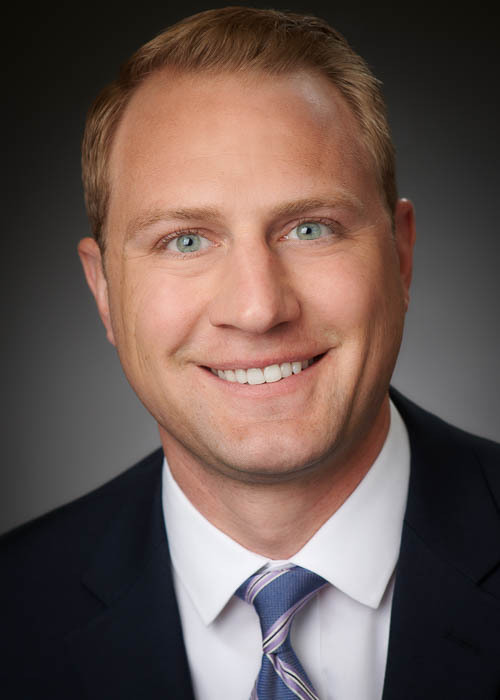 The Cincinnati law firm of Keating Muething & Klekamp PLL (KMK Law®) welcomes attorney James C. Kezele as an Associate with the firm’s Real Estate and Environmental Groups. Kezele represents public and private companies and municipalities to ensure their compliance with state and federal environmental laws and regulations. He has significant experience counseling clients on the Clean Air Act and state air pollution laws as well as on the processes for applying for, negotiating the terms of, and complying with various environmental permits, including Title V permits, Prevention of Significant Deterioration (PSD) permits, and NPDES wastewater permits. Kezele also counsels clients through transactions involving the purchase and sale of contaminated properties and has experience evaluating environmental due diligence investigations including Phase I Environmental Site Assessments and Phase II Subsurface investigations, and other regulatory due diligence. He frequently works with clients and their consultants to perform facility or programmatic environmental audits and helps prepare for facility inspections and to develop regulatory response. Kezele also advises clients on mineral leasing. Prior to joining KMK, Kezele was an associate for a mid-sized law firm in Cincinnati, Ohio and was a member of the firm’s litigation group where advised and represented clients with respect to labor and employment law, transportation law, general commercial litigation, and environmental compliance and environmental litigation. Kezele earned his law degree from the University of Dayton School of Law in 2012. Prior to law school he served as a Paralegal Specialist for the United States Department of Justice - Environment & Natural Resources Division where he gained valuable experience in environmental compliance and environmental litigation. Kezele also served as a summer clerk for the Honorable Chief Judge Susan J. Dlott in the United States District Court, Southern District of Ohio during the summer of 2011. He earned his B.A. degree from Claremont McKenna College. Kezele is admitted to practice law in Ohio and Kentucky. The law firm of Keating Muething & Klekamp PLL (KMK Law®), based in Cincinnati, Ohio, is a nationally-recognized law firm delivering sophisticated legal solutions to businesses of all sizes—from Fortune 100 corporations to start-up companies. Chambers USA: America’s Leading Business Lawyers® 2018 recognized KMK as a leading law firm in Ohio in Corporate and Mergers & Acquisitions, General Commercial Litigation, Real Estate, and Bankruptcy & Restructuring. KMK Law earned four National Rankings in Commercial Litigation, Corporate Law, Land Use & Zoning Law, and Project Finance Law and 37 Metropolitan Rankings in the U.S. News & World Report and Best Lawyers publication of its 2018 “Best Law Firms” Report. Founded in 1954, KMK has approximately 115 lawyers and a support staff of 150 employees. Additional information is available at www.kmklaw.com.